Test cables with SMD hook grabbers. Who knows what crazy experiments you will do with openDAQ. 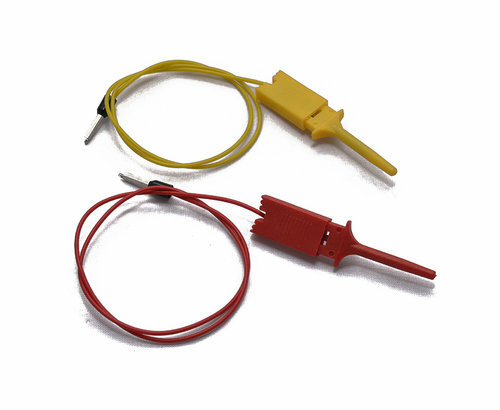 Get this generic hook cable and connect it to anything: one side plugs into openDAQ, the other side has a hook to grab any small component.